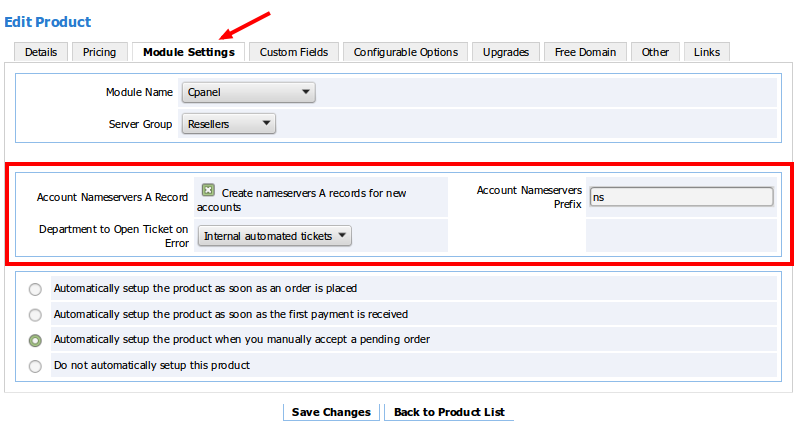 First, you will need to login to your client area and download your copy of “Resellers Auto Name Servers“. From the client’s area left menu click ” Services ” -> ” My Services “. Open the ” View Details ” box by click the arrow on the right, and click ” Downloads “, in the following screen click the ” Download ” link. Unzip the file and upload it to your WHMCS hooks folder (“includes/hooks“). Next, login to your WHMCS system as admin user, and edit the product (reseller hosting probebly) you want to activate this hook on. That’s all ! Once a product is ordered and the “create” action was triggered, the hook will generate the necessary A records for each name servers. 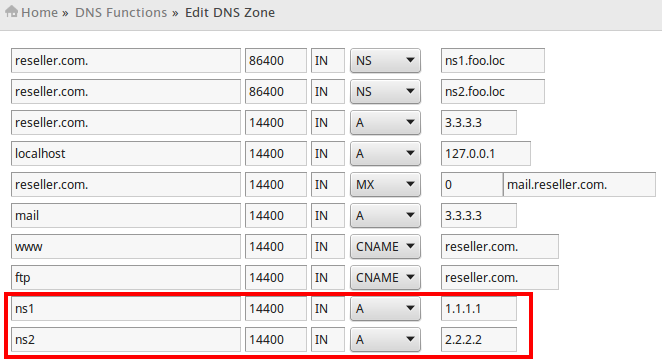 An order for reseller account was placed for “reseller.com” domain. Order was activated, created on the server.